The US got a hit of labor data this morning with the ADP employment change for the month of December and initial jobless claims releasing with contradicting results. 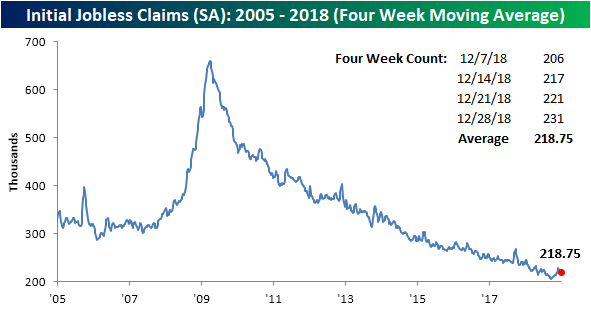 While the ADP data saw the biggest surprise to the upside since February 2017, initial jobless claims are telling a slightly different story as it released with a sizeable miss. Contrary to last week’s rather boring release, claims came in at 231K; well above expectations of 220K on a seasonally adjusted basis. It is also up from last week’s reading of 221K. That brings the indicator right back near highs from the latter half of November when it peaked at 235K. These upticks still do not necessarily seem to suggest a weaker labor market or that the broader trend has reversed though. 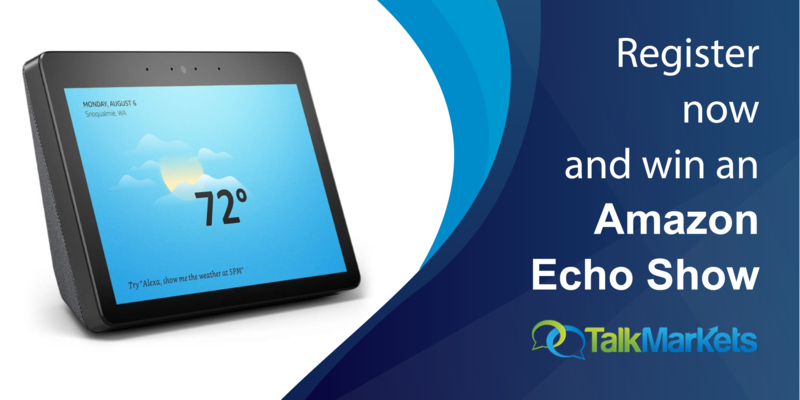 While it could technically be early signs of that, more data and further upticks would be needed to confirm this. Regardless, the data alongside the strong ADP report is still showing a very strong labor market holding onto some impressive streaks. 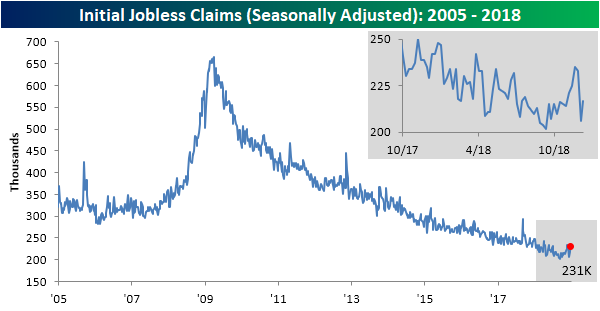 Initial jobless claims has now been at or below 250K for 65 weeks in a row. Even more impressively, this week marks the 200th week that claims have come in below 300K! Seeing as this data is high frequency releasing weekly, taking a look at the four-week moving average is telling the same story. While there have been further upticks, this week to 218.75K vs 218.00K last week, they should not be a cause for concern yet as the data is still off of recent highs and has yet to have definitively broken out into any kind of an uptrend. On a non-seasonally adjusted basis, claims came in higher as can be expected due to seasonal effects. As we have been noting the past few weeks, this time of year typically sees a sizeable increase, then a drop, and finally a much larger increase as we head into the new year from which it returns to lower levels once again. Right now we are seeing that second larger increase as claims rose to 323.9K this week; up from last week’s 291.6K. Next week’s release is typically the highest reading of the year so it should come as no surprise if this number explodes upwards. Even with these sharp seasonal increases, labor data is still historically very strong. As we have seen most weeks in the past year, this reading still came in well below the average for the current week since 2000. Additionally, this year is the lowest level of the current week for all years since 2005.